Growing food demand requires more investment in land, water and energy. As we use more and more resources to fill this need, the stark truth is that globally, 1/3 of all food is wasted. In the USA, that figure is closer to 40% - a huge problem that we need to solve as a country. 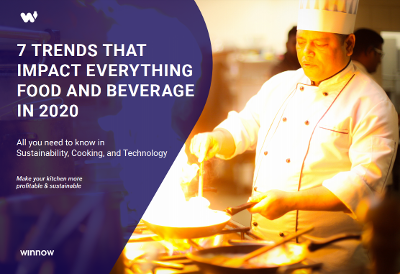 In this blog, we will explore how hospitality businesses in America can turn eye-watering food waste statistics into appealing solutions that help businesses to reduce costs while doing the right thing for the environment. The paradox of the situation is, while 1 in 8 Americans struggles to put food on the table, 63 million tonnes of food (or $160 billion of food) is wasted each year. Many people assume that the majority of this waste occurs at the end of the customer. But in reality, a surprising 40% of food waste in America comes from consumer-facing businesses like hotels, restaurants and grocery stores. 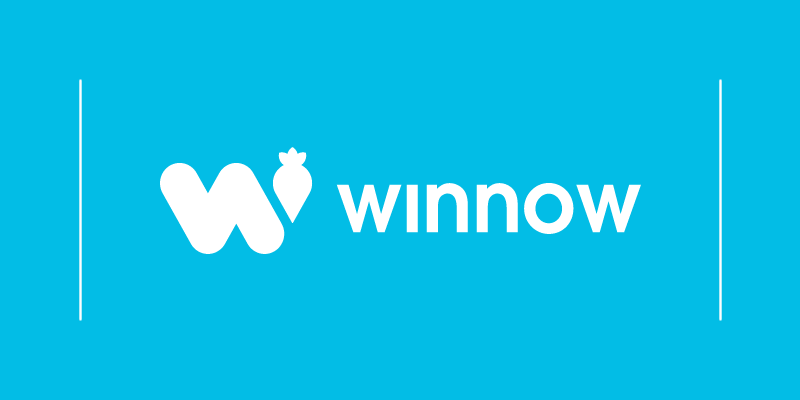 In kitchens where food is prepared in advance, the highest levels of waste are caused by overproducing food - data collected from over 200 kitchens using Winnow shows that 80% of the savings come from this stage in production. This data gives us the framework to solve the problem at scale - more on that later in the blog. On an international level, we can see that most food wastage occurs in the developed world. Governments are starting to understand the damaging effects of food waste and bring in legislation to tackle the problem. The United States Department of Agriculture (USDA) and EPA announced their goal to reduce food loss and waste by half by the year 2030. This target is in alignment with Target 12.3 of the UN Sustainable Development Goals - the global agreement that highlights the importance of reducing food waste. Several large food and beverage companies have become The Food Loss and Waste 2030 Champions, including companies like Campbell Soup Company, General Mills, Kellogg Company, PepsiCo and Sodexo. Hospitality businesses in America can take inspiration from the example set by other countries worldwide who are achieving great financial savings by cutting food waste. Take The Anantara Siam Bangkok Hotel, for example, they saw an opportunity to cut waste in their frequent and extensive buffets. Through daily reports tracking food wastage, the kitchen team identified the items they were overproducing and adjusted the quantity for the following day. They were able to reduce food by a staggering 70%. In Europe, Swedish giant IKEA aim to cut food waste by 50% before the end of August 2020 with their Food Is Precious initiative. One of their stores, IKEA Eindhoven, has been leading the fight against food waste. The team at Eindhoven reduced food waste by 45%, saving over 48,000 meals. These two examples demonstrate the size of the opportunity for the hospitality industry in the United States. As competitive pressures increase and key costs rise, more companies should consider joining the fight against food waste as a way to enhance operational efficiency. Since $160 billion of food is wasted every year, reducing food waste is a good investment opportunity for companies - the problem is large but so is the financial reward. QSR magazine recommends that you should understand your waste stream and measure and review it often to reduce food waste. The most efficient and effective way to do this is with technology. Manually recording food waste takes time away from a chef who could otherwise be spending their time doing what they love - cooking. So far, in the United States, about ten hotels including Hilton, Hyatt and Marriott International took part in a 12-week pilot program to cut food waste in the hospitality sector according to the World Wildlife Fund (WWF) and the American Hotel & Lodging Association (AHLA). Overall, participating properties reduced food waste by at least 10%. Their findings support that food waste management is done more productively by the use of waste tracking technology. Customer attitudes towards sustainability and food waste are shifting. A study by Unilever revealed that 72% of U.S. diners care about how food waste is handled. If it’s a priority for the consumer, it should be a priority for the restaurant as well. For example, Pete Pearson, Director of Food Waste at WWF, said some hotel chefs work to make sure menus for banquets and large events could be quickly adjusted if necessary, and part of the excess food reused for other meals. Chefs are key, as with many food trends, to accelerate this shifting perspective among the general public, and show that food is too valuable to waste. Reducing food waste is critical in making the world a more sustainable place. You have the power to make a change. If you are part of a food business that spends over $100,000 on food costs and you prepare food largely in advance, you have a massive opportunity to reduce food waste in your kitchen. We would encourage all hotel operators to see food waste as an opportunity to significantly cut costs while also contributing to the environment. In a competitive marketplace and with increasingly demanding guests, there has never been a more important time for hotels to run with maximum efficiency.